New map by MIKE BYERS for Yankee Magazine July/August 2010 issue. This is for Yankee’s Summer on the Main Coast Issue: The Guide Travel. 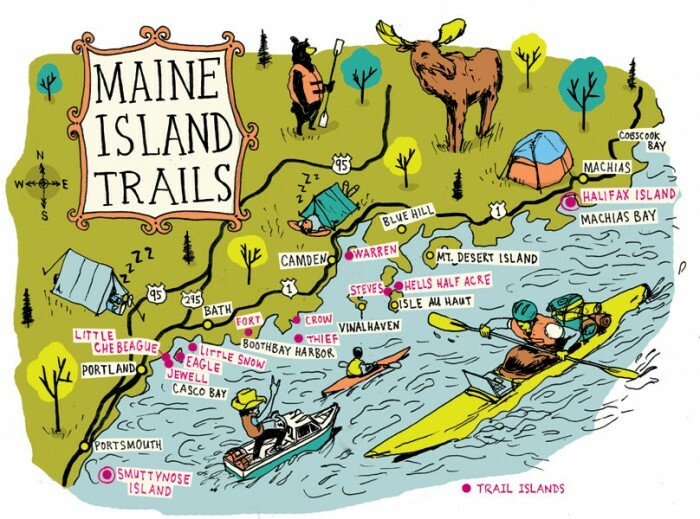 Follow The Blue Watery Road: For 20 years the Main Island Trail has beckoned lovers of solitude and beauty. The Main Island Trail is today recognized as the first of the modern water trails. Read more on page 44!